Having purchased a top of the line Sub Zero kitchen appliance, help protect your investment by having your new refrigerator or freezer unit professionally installed by a Los Angeles Sub Zero Repair technician. This is honestly a much better way to protect your investment than buying one of those unnecessary warranties or service contracts that retailers usually try to push on consumers. 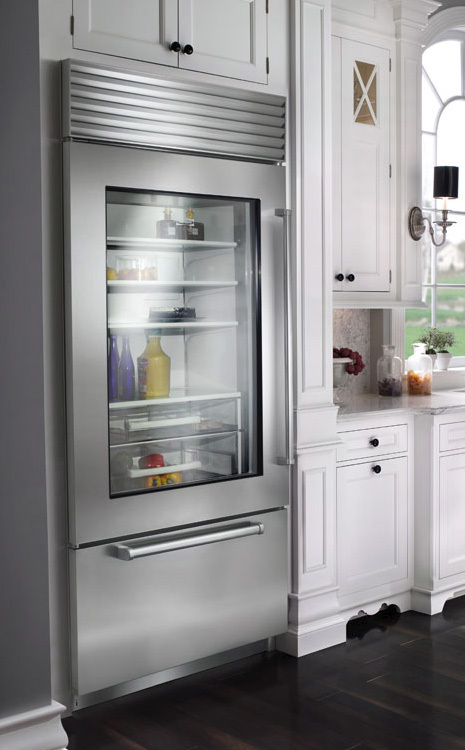 Sub Zero makes outstanding refrigerators, but like all modern high-end appliances they are also somewhat temperamental and even a minor mistake on installation could ultimately affect its performance and reduce its service life. Our experienced and reliable service crews utilize the latest tools and equipment to ensure that the job is done right. We are happy to work within your busy schedule to install your new Sub Zero products at your earliest convenience. Do you have your car serviced regularly, or do you wait until it breaks down completely before calling a mechanic? We hope it’s the former, and encourage you to treat your kitchen appliances with no less care. Although our same day emergency repair service has earned us many loyal customers, scheduling regular preventive maintenance for your Sub Zero appliances is always a better alternative to having to pay for major repairs or a replacement unit. Remember Murphy’s Law: more often than not, neglecting to maintain your refrigerator will result in it breaking down on you when you can least afford it. We tailor our maintenance contracts to the individual needs and budgets of our customers, and will not try to oversell you. Time and again, our maintenance programs have more than paid for themselves by limiting the operating, repair, and replacement costs of Sub Zero refrigerators and other major appliances. The primary business of retail chains is sales. While many of the big name stores have their own in-house service and repair divisions, even the best of them are treated as secondary concerns by their corporate offices and the quality of service they can offer usually reflects this. Many managers of these service departments are little more than glorified salesmen. They will be quick to suggest replacing your malfunctioning Sub Zero appliances with the newest model, but will drag their feet when it comes to performing any repairs or replacing any parts. After experiencing our level of service, many of our customers now call Los Angeles Sub Zero Repair first, even if their retail-provided service contract is still in effect. Check our references and you will see that we show up on time and will not only get your repairs done right, but also get them done on schedule. Our factory trained technicians are always on alert to handle emergency service whenever you may require it. Each of our radio-dispatched service truck is stocked with a full inventory of replacement parts and equipment. In addition, each truck also contains refrigerant recovery units in order to prevent the illegal venting of refrigerants into the atmosphere.